The fun BIG pylon traffic cone in white and orange can be used for many different playtime activities. 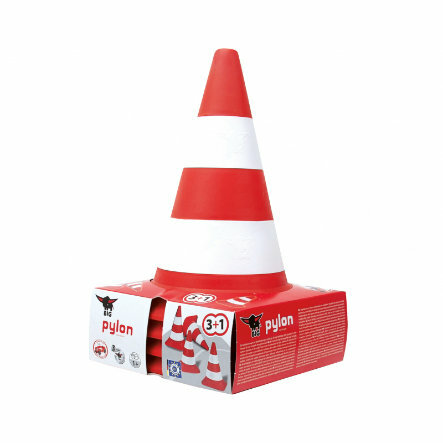 The 4 cones can be used for cordoning off playtime roadworks or for creating a driving course or small BIG-Bobby-Car racing track. This cone from BIG is particularly stable. It is manufactured from a flexible material which means that it can withstand many a bump without breaking. The fun BIG pylones are made from high-quality plastic and manufactured in Germany.